New info on multi-crew emerged! 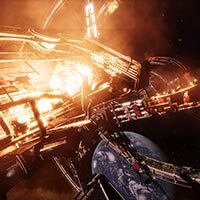 Earlier today, a fresh new dev-post popped up on the official forums giving us a lot of new info on the upcoming patch – and mostly how multicrew is going to behave. The first feature I want to discuss for 2.3 is Multicrew – the ability to join up with Commanders on the same ship and enjoy space adventures as a crew. In this post, I’ll summarise what you can expect from this exciting new update, in terms of structure and supporting features. Please note that before now and release, some details may still change, as we’re currently in the thick of implementing this feature! Fundamentally, Multicrew is about having fun with friends, so we want to make sure there are as few barriers to enjoying this feature as possible, starting with the crew formation process. We want to make it as easy as possible to start having fun on a multicrew ship. As long as their ship has enough seats (different ships have different multicrew capabilities) a Commander can directly invite players, or can set their vessel to allow multicrew access. Commanders looking to play as crew can either accept direct invites, or activate a new “looking for ship” feature, which will automatically place them as crew on a suitable vessel with multicrew access allowed, making the process quick and painless. When joining a crew, a Commander will log out of their current vessel and transfer to the multicrew vessel, regardless of distance. They can also leave at any time (or be evicted by the ship’s owner) at which point they can return to where their ship was last, making the whole affair a very friendly, drop in – drop out procedure. The ship’s owner always takes the role of helm, piloting the vessel and operating fixed and gimballed weaponry. They also control NPC fighter pilots. There can be up to two additional crewmembers, depending on the vessel, who can perform roles to enhance the ability of the ship. Players can also simply come along for the ride, with the pilot in a mentoring role. The helm also retains control over distribution of power, navigation, and synthesis. The gunner role allows a crewmember to take control of all turreted weapons on the ship. They do not need to jump between turret views though. Using a third person interface, they control a reticule that all turrets within their arc will automatically follow; giving them improved spatial awareness and easy control of all turreted weapons. They also have access to two “quick slot” fire buttons, in addition to normal fire groups, that they can customize with modules, allowing them more options for activating weapons and scanners. Furthermore, the gunner has access to advanced sensor systems, allowing them three hundred and sixty degree tracking arcs. This lets them activate advanced scanners (such as the kill warrant scanner) and missile launchers in any direction. The fighter con role lets a crewmember launch and control a fighter, even if the helm has already launched a fighter using NPC crew. This allows multicrew ships to have two fighters active at a time. In addition, if the ship has enough fighters, both crewmembers can take on the fighter con role, meaning three human controlled ships can be flying at the same time. Crewmembers can switch roles dynamically as they see fit. The ship owner is always the helmsman. Every crewmember also has access to a power distributor pip that they can assign dynamically. This is in addition to the standard pips that the helm controls. This extra power distribution allows the ship to operate more effectively, increasing its capabilities in combat. Ship re-buy premiums are also reduced for each crewmember. Again, the purpose with this is to lower the bar to access and ease of use, especially when dealing with vessels that can cost a lot of credits. All bounties and vouchers that the helmsman (ship owner) receives are duplicated for each crewmember, making multicrew a great way to have fun with friends without missing out on money-making opportunities. However, as they share the benefits, so too do they share the punishments. Any crime that the ship suffers is applied to all crewmembers equally. But when a Commander leaves or ends a session, the crew will have the option of avoiding taking the crimes with them, but in doing so, will lose all credits earned. It will be their choice. And supporting multicrew in 2.3 is the Commander Creator. 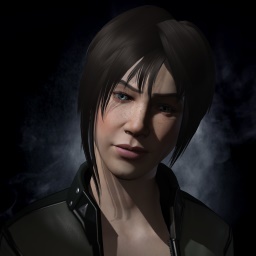 Commanders will be able to create a unique avatar using a wide variety of options, finally putting a face and character to their name. And with a new, fully-fledged camera system, they’ll be able to view themselves and their crew in real time as they adventure across the galaxy.